Empower your organization to proactively manage your energy usage, benchmark facilities, and analyze cost’s for electricity, water, gas, and other utilities. Enable your corporate and facility managers to deal with energy usage in a global manner. Enable you to strategically manage your operations, implement changes, measure results, and evaluate how your overall energy costs can be significantly reduced. Allows you to identify not only how much energy can be saved, but also how much that energy saves you in real dollars. 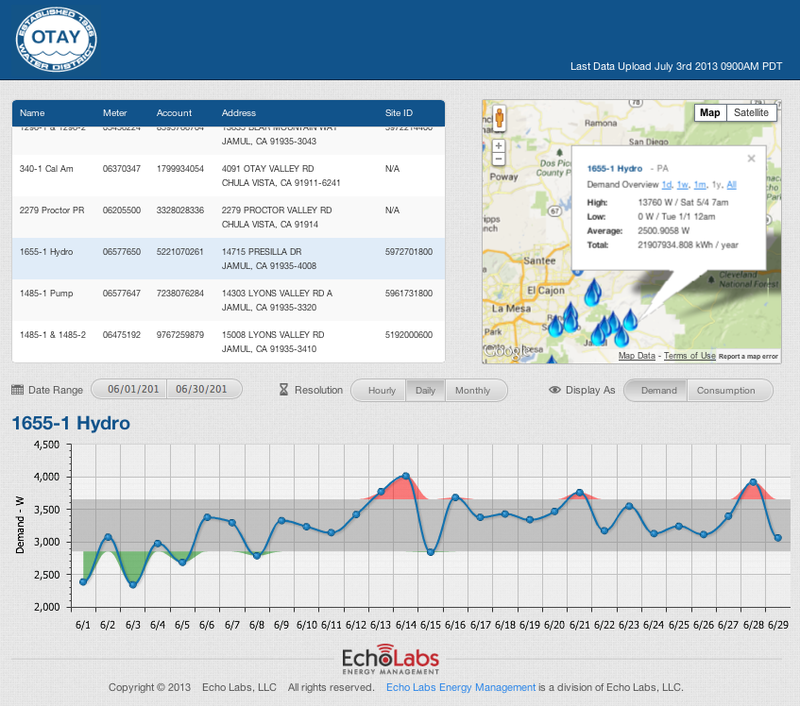 Provides access to real-time energy data any time, from any location, through a standard web browser. No special software or computers are required. Implement automated M&V reporting, on a global, district facility and ECM basis. Allows you to determine the true value of on-site generation assets. Provides for easy system engineering management and configuration via the Internet.